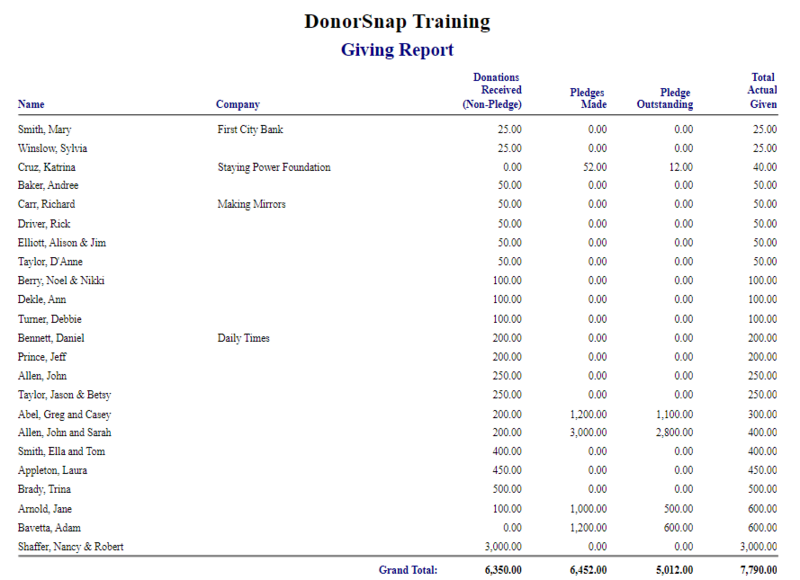 The Giving Report shows both donations and pledges by donors. Choose your Date-Range, criteria of Donation Types, Appeal and Campaigns. The Report viewer will show both donations (non-pledges), Pledged amounts and pledges outstanding, with a total given (donations + pledges) combined. The Export to Excel will show the same information with additional contact information, such as Address, Email, Phone number, etc.